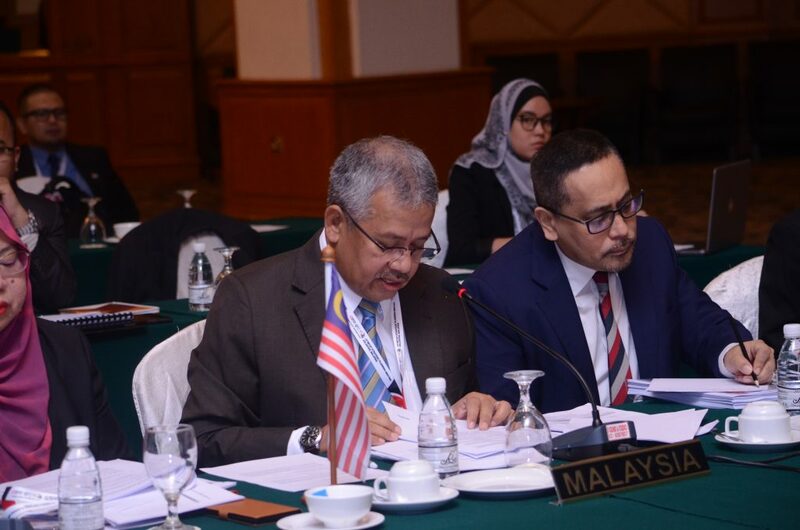 The 24th IMT-GT Ministerial Meeting was held in Melaka on 1st October 2018 and the meeting was chaired by His Excellency Dato’ Seri Mohamed Azmin, Minister of Economic Affairs, Malaysia. The meeting was also attended by His Excellency Mr. Darmin Nasution, Coordinating Minister for Economic Affairs, Republic of Indonesia, His Excellency Mr. Arkhom Termpittayapaisith, Minister of Transport, the Kingdom of Thailand, Mr. Ramesh Subramaniam, Director General Southeast Asia Regional Department, Asian Development Bank, Dr. Aladdin D. Rillo, Deputy Secretary-General for ASEAN Economy Community and Mr. Pairote Potivong, Director Centre for IMT-GT Subregional Cooperation. This year marks 25 year anniversary of the IMT-GT cooperation. Over these years, IMT-GT have shown tremendous progress especially the establishment of physical connectivity project (PCP) in the subregion. It is reported that IMT-GT is committed to construct USD47 billion worth of PCPs mostly to be completed by 2021. The completion of the PCP is expected to facilitate the trade activities, cross border and most importantly, enhance people-to-people connectivity. For the period of 2012 to 2016, IMTGT has recorded impressive average annual growth of 4.76 per cent. Per capita GDP at current PPP has increased from USD11,508 in 2011 to USD14,557 in 2016. Apart from that, the unemployment rate and poverty incident in the subregion continue declining. To cope with the global mega trend, the Fourth Industrial Revolution, IMT-GT is planning to conduct the mid-term review of Implementation Blueprint 2017-2021 in 2019. The revision would focus on the economic corridors, special economic zones as well as the role of focus areas namely; agriculture and agro-based industry; tourism; halal and product services; trade and investment; human resources & development, education and culture; transport and ICT connectivity; and environment to strategies IMT-GT direction towards seamless, inclusive and sustainable subregion by 2036. Another highlight of this meeting is the completion of the revision of IMT-GT Memorandum of Understanding on Air Linkages. The MoU is scheduled to be signed by the Minister of Transport of Indonesia, Malaysia and Thailand in November 2018 in Thailand. The MoU is expected to open up more opportunities to create connection in the subregion that would facilitate the tourism sector. The Ministers also acknowledged the completion of draft Sustainable Urban Development Framework (SUDF) and the final document will be presented to the Leaders during the 12th IMT-GT Summit, next year in Thailand. The framework was prepared by Centre of IMT-GT Subregional Cooperation (CIMT) as the central secretariat of IMT-GT with the support by Local Governments for Sustainability (ICLEI). The SUDF will provides guidelines to attract green investment to the subregion. Through IMT-GT Chief Minister and Governors’ Forum, IMT-GT has been able to engage with the states and provinces. This forum is a platform for the states and provinces as well as the local governments in the subregion to voice their issues and challenges as well as to further strengthen the collaboration between federal and states government in the subregion. 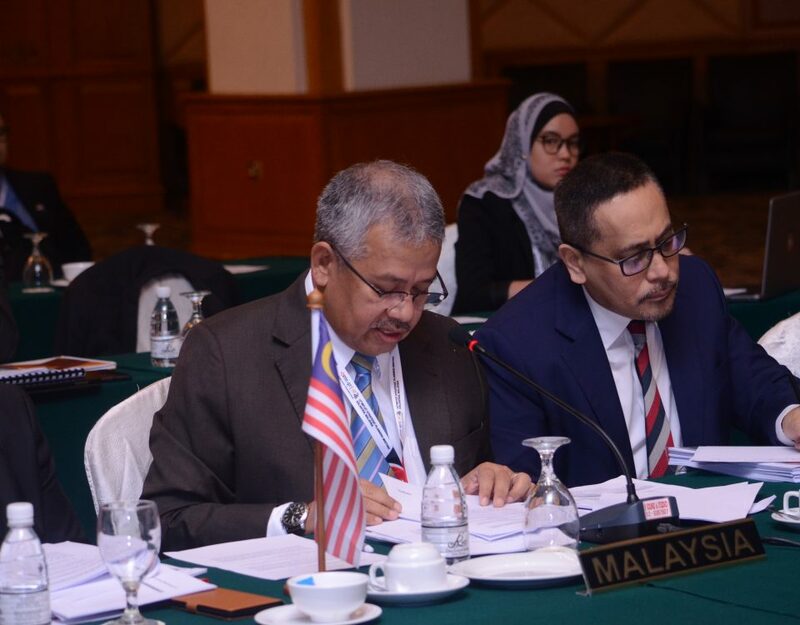 In conjunction with the IMT-GT Silver Jubilee celebration, Green Cities Conference was also held in Melaka back-to-back with the 24th Ministerial Meeting and Related Meetings. The conference is supported by Asian Development Bank (ADB) and they have been IMT-GT strategic development partner since the establishment of the cooperation. Moving forward, to drive towards seamless, inclusive and sustainable subregion by 2036, the cooperation should be ready and resistant to any changes and economic threat as a result of globalisation. The subregion should not compete with each other but to complement to ensure the continous progress with a single aim, to benefiting the local people.